Bonaire is considered the best for diving! But haven't you ever wondered how it would feel like to get married on Bonaire? Or simply host a family reunion by the beach? These are possibilities that we offer. Just relax and let our experienced locals prepare a specialized vacation just for you! Want to get married on Bonaire? It’s possible and easier than ever since resorts and wedding professionals offer packages for both wedding and honeymoons. Anyone can get married on Bonaire but there are some official requirements and paperwork to be done. Allow 4 to 6 weeks, maybe more, for the licensing and paperwork to be completed. Either the bride or groom has to obtain a temporary resident permit from immigration. Temporary resident permits are required for witnesses who are not already local residents. However, coordinators can help arrange for local witnesses if needed. Two passport photos and a photocopy of passport’s first page are needed for residency. Certified birth certificates, declaration of marriage by the civil registry and proof of divorce (if applicable) are among the list of required items for the official marriage petition. Ask wedding coordinators for details. Visit Bonaire together as a family. Resort and other accommodation providers offer special packages throughout the year for family travel. Some of Bonaire’s dive operators and snorkel professionals offer family trips and packages as well. Most restaurants have kid selections and when not on the menu, are glad to help. Bonaire has a number of places to see and activities to do for families. Accommodation providers, dive operators, and activity specialists can help with specific questions and recommendations for families. Additionally, contact the tourist offices in local cities or the local Tourism Corporation Bonaire on the island. The climate of Bonaire affords the luxury of lots of outside living and activities together as family including swimming, snorkeling, diving, horseback riding…the list goes on and on. In addition, some favorite places of interest include a day at Sorobon Beach swimming, relaxing or windsurfing with lessons available for children as well. A trip to the Donkey Safari Park to watch and feed the donkeys allows the possibility to pose for the donkey webcam and be seen by friends back home. Plan a day trip to Washington-Slagbaai National Park for swimming and exploring, don’t miss the Museo di Washington Park at the Visitors Center. Children enjoy the outside Rooi Lamoenchi Kunuku Park, and the traditional play park in town, Parke Boneriano. 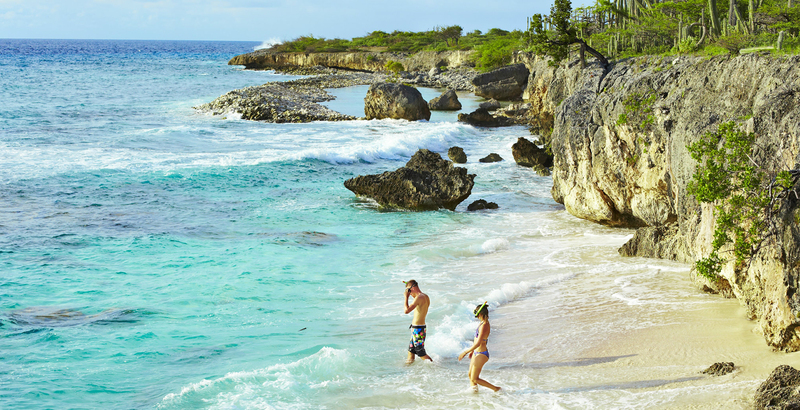 Throughout the year, Bonaire’s resorts and operators offer activities or packages geared toward children. Some of Bonaire’s accommodation providers have kids clubs and special weeks involving family events. Activity providers give lessons in various sports like windsurfing, kayaking and more. Bonaire’s diving operators offer classes for children in SCUBA diving and snorkeling. Check with activity desks, accommodations and activity providers for a list of Bonaire’s activities for family fun! Some cultural events for children include the children’s Carnival Parade, February/March has local children singing and dancing through the Kaya Grandi, downtown mainstreet. San Nikolaas comes to town in December as a local tradition by boat to attend a kid’s fair in Wilhelmina Park Plaza downtown, and spends a few days on Bonaire with the kids. Baby Sitters: Some accommodations offer baby sitting. Check with accommodation providers for details or recommendations. Diapers: Disposable Diapers are most often times available, and can be found at the larger groceries and Botica (Pharmacy). Brands vary, however. Equipment: Some accommodations offer cribs and most resort restaurants have highchairs. Car seats are not always available so check with transportation specialists. Families may choose to bring portable cribs, highchairs and car seats to ensure having them. Formula, Food, Drink: Baby formulas, food and drinks are available. Keep in mind that since Bonaire is an island, all goods are shipped in, not all brands are available. *If special dietary needs or preferences are a concern, it may be helpful to bring needed items. Fresh fruits and vegetables are available. Mosquitoes: Being in the Caribbean, Bonaire does have mosquitoes (vary by season). Special mosquito repellents for children, do exist, and may be best brought from home as brands in Bonaire may vary. Sun: Almost every day in Bonaire is a sunny day. Children, as well as adults need to take care and protect from the strong Caribbean sun and drink plenty of fluids. Special baby-friendly sun-blocks, do exist, and may be best brought from home as brands in Bonaire may vary. Various airlines, accommodations and dive operators offer groups travel and incentives. Many dive groups have been traveling to Bonaire for years. Accommodation providers, dive operators, and activity specialists can help with specific questions and group recommendations. Additionally, contact the tourist offices in local cities or the Tourism Corporation Bonaire's local office on Bonaire.